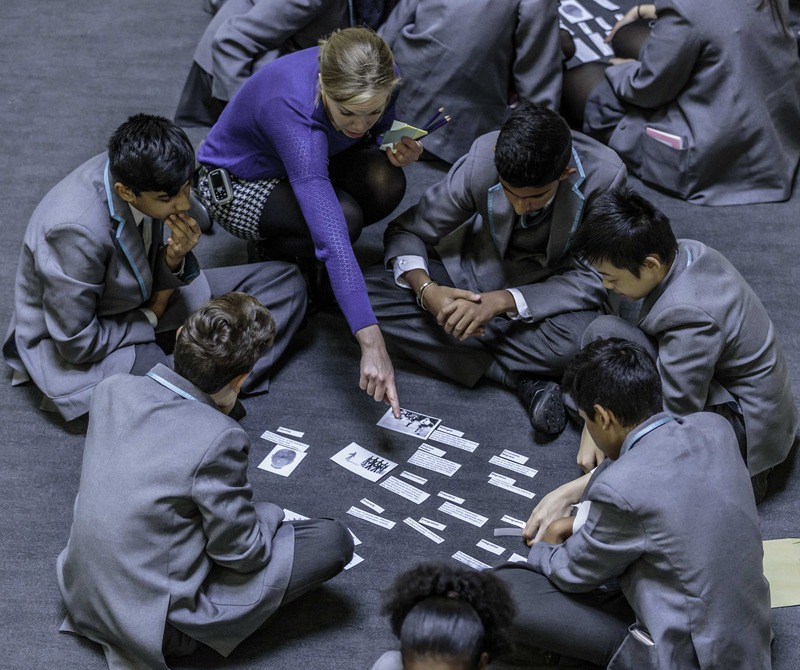 We conducted three workshops with the whole of Year 9 at Langley Academy, Slough on Tuesday, 13 October. It was great to be invited back to contribute to Langley Academy’s Internationalism themed week and build on foundations laid down with this year group in October last year. This year we got to grips with migration related keywords and their definitions as they crop up so frequently in the press at the moment. We also used disks from the Southbank’s Adopting Britain exhibition to create a display of the pupil’s migration stories that will remain on show in the school atrium for all to see this week.